by a qualified jury panel whose members have included 45 Nobel Prize recipients. The TCI ‘Cutting and Engineering Technology’ company was founded more than a decade ago following six years of intensive research and development. This Spanish company with headquarters situated in Guadassuar (Valencia) is mainly concerned with making water jet cutting machines and laser cutting machines bearing the registered trademark of TCI Cutting. For TCI Cutting, quality means complete client satisfaction. Our work was recognised in 2010 when our Managing Director received the internationally prestigious Jaume I ‘Entrepreneur’ award, in honour of his passion, dedication and untiring research and development work which has led to the continuous evolution of his business, its products and its services. Emilio Mateu Sentamans has taken his place in the history of the Rey Jaume I awards as the first winner of the Entrepreneur Prize. 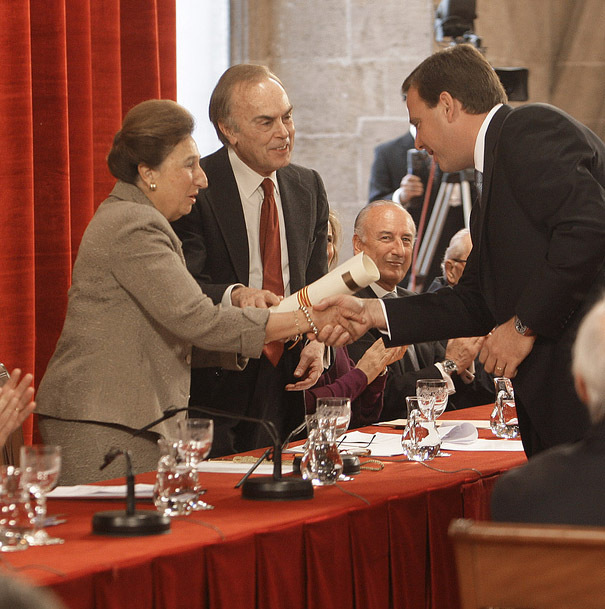 The Rey Jaume I awards were first created in 1989 in order to create a closer relation between scientists and commerce in the field of research and development in Spain. Since 1989, these awards have been received by a total of 95 Spanish scientists, selected by a qualified jury composed of members who themselves have received 45 Nobel Prizes. In 2010, the jury consisted of 12 Nobel Prize winners.